Australian comedienne Fiona O’Loughlin is best known in the UK for her appearances on Celebrity Apprentice and Dancing With The Stars; she is a huge star back in Australia. She has recently admitted that she almost lost everything due to alcoholism. Problems with her drinking came to a head in 2009 when she collapsed on stage; it was initially thought that she had heart problems, but it turned out that the real problem was alcohol. Fiona had a few challenges to deal with upon giving up alcohol, including the breakup of her marriage, but she says her life is better now than it ever has been. Fiona O’Loughlin is about to go on tour with her new show My Brilliant Career. She believes that this new project is a reward for staying sober, seeing it as an opportunity to open up to the world about her great new life away from alcohol. She does not believe that it will ever be possible for her to be cured from alcoholism, but she now knows that she can have a rewarding and fulfilling life without drinking. This is a message that she hopes to spread to others currently battling addiction. When people first come to terms with the fact that they are an alcoholic, it can all feel terribly unfair. The person realises that the only real option is to stop drinking, but this means giving up on an activity that is very much a part of Western culture. The idea of not being able to celebrate achievements with a few glasses of wine, or not being able to relax with a few beers after work, can appear as a terrible punishment. It can be very hard for alcoholics to imagine a life without drinking, so admitting to alcoholism could almost feel the same as a living-death sentence. Alcoholics have a life that revolves around alcohol – even when not drinking, these individuals are usually thinking about it. After the person becomes caught up in the downward spiral of addiction, there is little time for hobbies or anything that does not involve alcohol. Cognitive dissonance can also mean that the person becomes convinced that sober people are miserable all the time. This is one of the reasons why that when alcoholics are told they need to give up drinking for good, they can experience fear and self-pity. It appears to them that they are being denied the one thing in life that brings them real happiness. 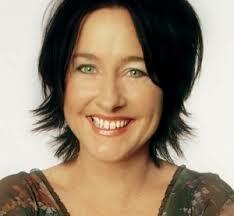 Fiona O’Loughlin is a great example of the truth of life without alcohol. She has discovered a new level of happiness and peace of mind that she did not even know existed before. Her career is going from strength to strength, and she has become an inspiration for many people struggling with addiction and depression. Fiona understands that life without alcohol will not always be perfect – nobody gets a free pass in life – but it is a million times better than the life she was living. The reality of life without alcohol can be far different from what those trapped in alcoholism expects it to be like. Becoming sober is like waking up from a bad dream. The individual discovers that the thing that they once believed was happiness was really only about just not feeling too ill – even a bad day in recovery can be much better than a good day as an alcoholic. The person who breaks free of addiction discovers the truth – it is not about giving up the one thing that can make them happy but about stopping doing the thing that is preventing them from being happy.